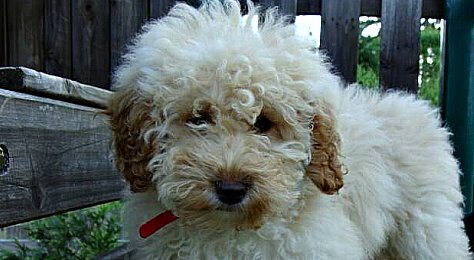 Here is an F1B Mini Labradoodle Puppy at about 4 weeks old. 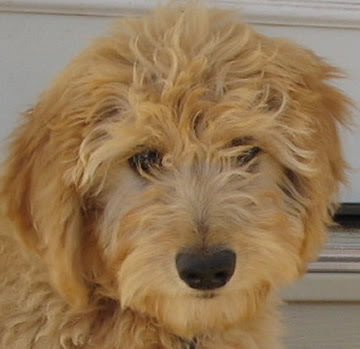 A great picture of a Goldendoodle named Joy. 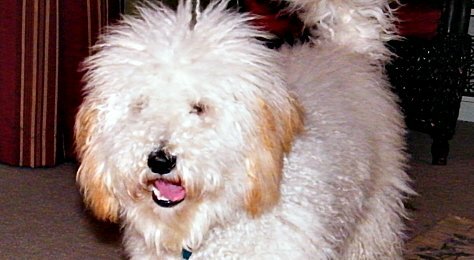 She is an F1B Standard Goldendoodle. Picture courtesy of www.corinthdoodl es.com. 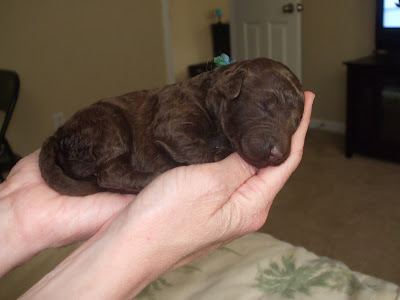 Picture of a 1 week old Chocolate Labradoodle Puppy. 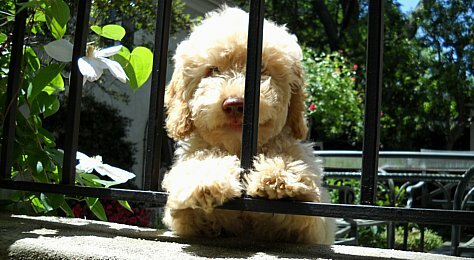 Courtesy of www.mountaincreeklabradoodles.com. 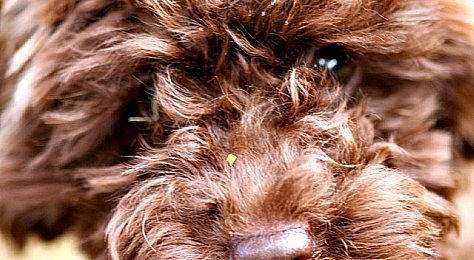 Here is a great close-up picture of a Labradoodle's Face. 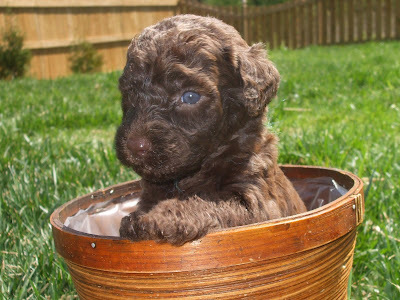 She is a Chocolate F1B from www.mountaincreeklabradoodles.com. 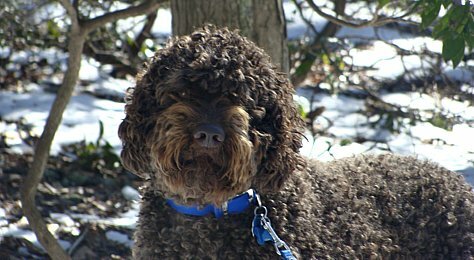 Here is another picture of Charlie the Labradoodle. This one is of Charlie going home the day he was adopted. If you are thinking he looks so tiny, it's because he is a Mini Labradoodle! He will only be 20-30 lbs when he is full grown. 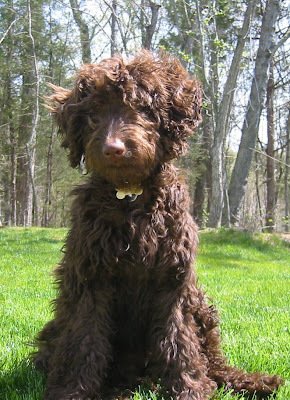 Picture is courtesy of Mountain Creek Labradoodles. Linnie, our f1 Labradoodle. She is a great Mom and a Certified Therapy Dog. 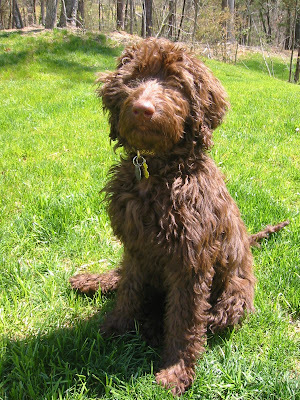 Courtesy of www.mountaincreeklabradoodles.com.